Fitzroy has more Andrew McConnell than you can poke a stick at. Seriously. There's Cutler & Co, the minute steaks at the Builders Arms and now sexily trussed up carcasses at his freshly minted butcher Meatsmith. 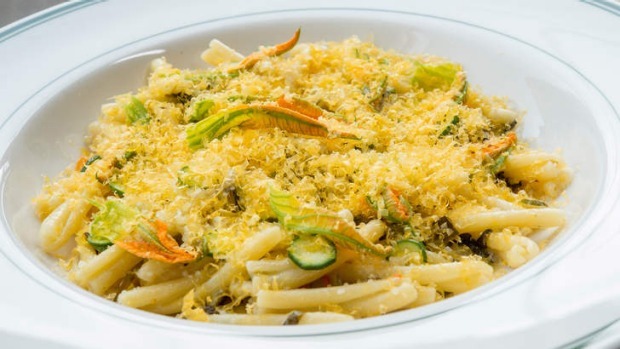 The chef-restaurateur has the 'hood captured in a web of deliciousness. And yet sometimes that's still barely enough. At 6.30pm for example, when your only option for a seat at his new wine bar, Marion – joined at the hip to Cutler – might be an Italian-style lean on the slender bench that runs parallel to the wine racks, glinting in the evening sun. But that's OK when it places you twixt a cellar with all the significant might of Cutler & Co and the kitchen manned by Cutler's long-time sous, Allan Eccles. Welcome to the wine bar you didn't think this wine-soaked neighbourhood needed. 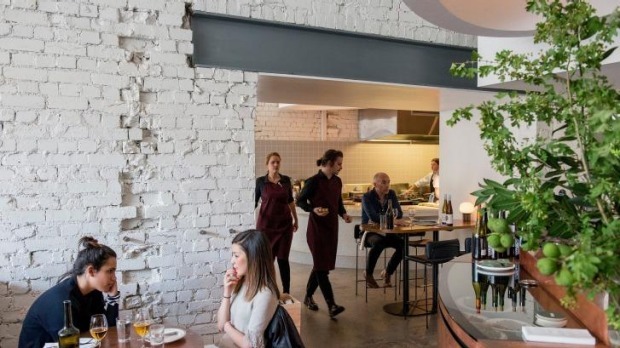 To be fair, McConnell was talking about this project, where you pull in either for a drink and a snack, a dressed-down dinner or brunch at weekends, long before the Bar Clarines and Semi Permanents that are now a major draw for oenophiles were even a twinkle in Fitzroy's eye. Six years ago, in fact. And while the formula is now familiar – the short, sharp snack menu of seasonal dishes where the likes of seared duck hearts buried in herb and onion foliage with slips of smoky leg meat is king one day, gone the next, and where the focus is on interesting and not exclusively natural wines; and the policy of busting open a magnum for by-the-glass tastings is regularly enforced – no-one's tired of it. They do it well at the sunniest end of Gertrude Street. It's the under-sell and over-deliver principle that's a huge part of the thrill. 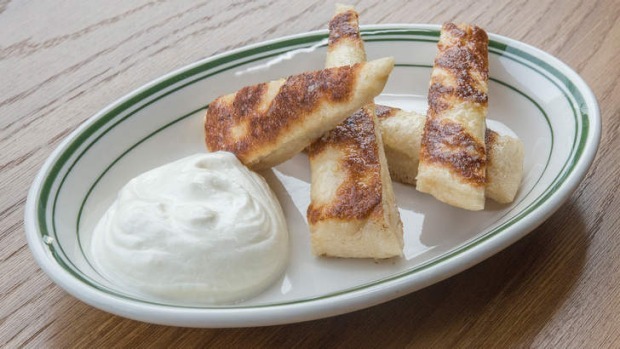 Your night begins with pan-fried breads the size of a palm, all garlicky oil, crispness and squish for running through a mound of fromage blanc. Olives and nuts – tamari salty and rosemary fragrant in a way that smells like something less legal – arrive unbidden, pulled from a concealed snack draw. It's all about building a meal in layers. Dinner could certainly be as simple as a dozen shucked oysters and a plate of padron peppers. Sometimes a game of heat roulette with those salty fried bells is all your evening needs. But order the deceptively simple-sounding mussels and 'nduja and your night kicks up a gear. A slab of bread, oiled and grilled, is a crunchy liferaft in a sharpened mussel liquor and lovage oil sea. 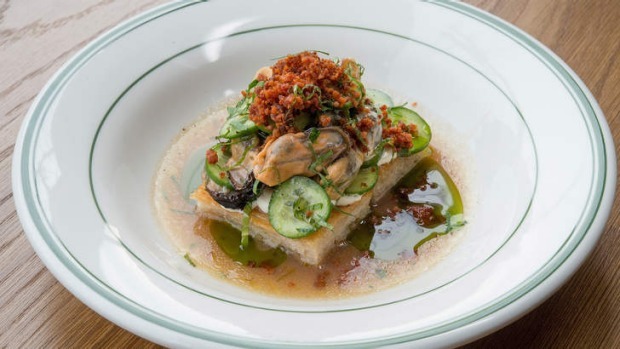 Its cargo: the plump, chilled mussels, mint and cucumber, set on fire by a blanket of the crumbled spicy sausage. Fire and ice, levelled out with a little cream. What will it be that draws you in? Sommelier Liam O'Brien's list certainly has some pull. Maybe you're a fan of '09 Cotes du Jura chardonnay, which sits at the advanced drinker end of the spectrum with its barny funk of a rustic cider. See also the low-intervention gear from team Arfion in the upper Yarra, and the often wild stuff of the Ochota​ clan in South Australia's Basket Ranges. But you might as easily be here for the IF Architecture-designed space – a partitioned horseshoe of frosted bricks, with coppery accents, wood for warmth and black banquettes for comfort eating. 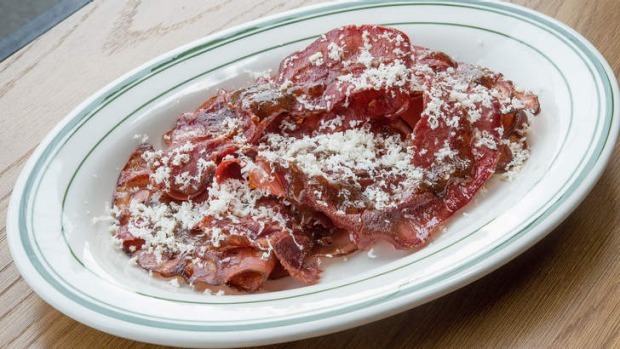 Or the salty, chewy mountain of crisped-up mortadella and ox tongue strips – some say dry, I say a jerky-bacon cross. Maybe the brandade – that gentle smoosh of potato and milk-poached salted cod for scooping up with fish skin crackling. Or the squeaky squid ink crackers cradling lobes of uni (sea urchin roe – custard of the ocean) and quick pickle cucumber that snare your senses in their lewd and funky grip. It's like kissing the ocean where you shouldn't and getting a sharp slap in return. It's almost annoying that McConnell places continue to open and shine. It somehow seems unjust. But this is the work of a well-oiled team more than one man. Love or hate the player, you've got to love this bar's game.